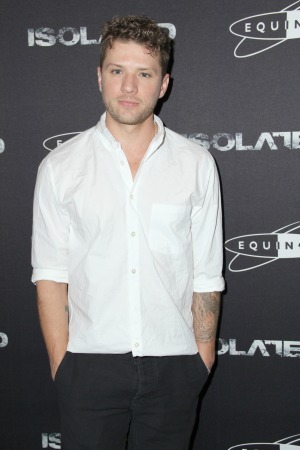 It’s always fun to jump in someone else’s photo, but one woman decided to photobomb Ryan Phillippe. Find out who she is! It looks like the photobombing trend isn’t going away anytime soon. The latest Hollywood celebrity to get photobombed is actor Ryan Phillippe and his pal Brian Washington while on their way to lunch. The two men were walking in West Hollywood, California, on Thursday and the paparazzi were capturing their stroll down the sidewalk. The actor and his friend looked pretty uninterested in the photographers as they both walked with serious faces and sunglasses covering their eyes. The real draw to the photo is the gal on the left-hand side of the photo. She poses with an attitude and a mischievous look right into the cameras. With her hand on her jutted-out hip, it’s clear this girl was ready for her photo opportunity. It turns out “that lady” has a few Hollywood connections. Just Jared identified her as singer Sarah Hudson. She’s Kate Hudson‘s first cousin and the godchild of Goldie Hawn and Steven Tyler. That’s some awesome Tinseltown lineage! It looks like sassiness runs in the Hudson family.